What is an IRA and How to Open an IRA Account ? An Individual Retirement Account (IRA) is the kind of account that’s registered at financial institutions. These accounts let individuals save a hefty sum for their retirement without paying any tax for the same. To put it simply, individuals can invest in their IRA account deferring yearly income taxes. Typically, IRAs can be classified in three categories. Here’s all you need to know about them. 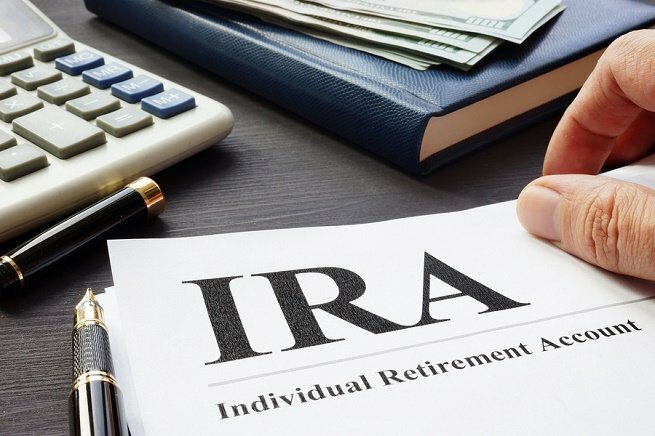 Conventional IRA – This is the IRA that allows you to make contributions with the amount that can deducted during your tax returns. So, the earnings you have can grow on a tax-deferred basis, unless you withdraw them at the time of your retirement. Several retirees end up in a lower tax bracket than they initially were during the retirement. So, at the end of the day, tax-deferral means that the money you’ve earned will be taxed at a relatively lower rate. Roth IRA- For this IRA, you will be required to make contributions with the amount that you’ve already paid taxes against. So, the money you have will potentially grow on a tax-free basis. At the same time, you’ll also be liable for tax free withdrawals at the time of your retirement. However, for that, you also need to ensure that certain specific conditions are met during the process. Rollover IRA- For this IRA, you’ll have to contribute the amount that has been already rolled over’ from an existing retirement plan to a conventional IRA. With rollovers, you’ll have the chance of moving your qualified assets from a certain employer-sponsored plan like 401(k)/ 403(b) to an IRA. How Is A Conventional IRA Different From a ROTH IRA? Your contribution to conventional IRAs is deemed as pre-tax’ dollars. This means, it’ll reduce your taxable income for a certain year. Once you’ve completed the retirement, you will be owing taxes on the entire amount that you’ve withdrawn. This includes both the original dollars you pay, as well as the investment income you’ve earned. Unlike conventional IRAs, ROTH IRAs require you to send in payment in the form of post-tax’ dollars. This means, you will have to pay a certain tax on the income before making a deposit, without any immediate benefit. However, after the retirement, your best egg becomes tax free. This includes your investment income as well. For both Roth and conventional IRAs, you will be required to meet certain income limits. Both the conventional and Roth IRA are used as retirement savings funds in the long run. Due to this reason, there’s a certain tax penalty, (usually amounting to 10%) in order to withdraw money before you’ve reached the age of 59 and a half. So, whether you plan this at your leisure or are looking to grab a last opportunity for the tax break, do note that the actual purpose of IRA is to prepare for a financially sufficient retirement. What Is The Advantage Of Having An IRA ? Both the conventional and the ROTH IRA will offer tax-free growth of the assets you currently have. To put it simply, once the money is credited in your account, no additional taxes will be levied on your dividends or on the capital gains that your investments have earned. However, both these IRAs come with a certain contribution deadline. This means, you will be allowed to contribute to the IRA throughout the entire calendar year, and till April 15 of the next year. Like we already mentioned, the contributions of Roth IRA account will be made with your after-tax dollars. Contrarily, the contributions of your conventional IRA will be made from the pre-tax dollars. This means, these contributions might be deducted from your salary. This will, however, be subject to certain specific limitations. Are There Any Contribution Limitations For the IRAs? IRAs come with stringent contribution limitations. So in order to contribute to IRAs, both you and your spouse need to have salaried income. In the year 2018, the maximum amount of contribution for each person was capped at $5500 or $6500 if you are an individual if fifty years of age or more. After reaching the age of 70 and a half, you will no longer be able to contribute to conventional IRAs. That being said, you will still be eligible for adding to the Roth IRAs. However, if your modified gross income crosses a specific level, you won’t be able to contribute to the ROTH IRA either. What Type Of Investments Can I Make ? For conventional IRAs you will be able to invest in every kind of conventional financial assets, (including but not limited to) stocks, ETFs, bonds, and mutual funds. You can also invest in a bigger range of investments via self-directed IRAs. For this kind of IRA, you as an individual, make the decisions related to the investments. Dome common examples include commodities, precious stones, real estate and peer-to-peer lending. However, regardless of the type of IRA, it is always a better idea to avoid investing in life insurance or certain collectibles like antiques, gems, rugs and stamps. Before you open an IRA account, here’s all you ned to know. Choose your preferred help. While opening an IRA you can choose between online brokers and robo advisers. If you want to manually handle your investments, online brokers can be an excellent option. However, if you want your investments to be handled automatically, consider taking help from a robo advisor. Complete the details- Once you’ve zeroed in one a specific account, it is now time to fill in the necessary paperwork. Typically, you’ll have to name, social security number, date of birth, contact details, information about your employment and the likes of it. Fund your account- Once you’ve completed the details, fund the account you’ve chosen and get started with it right away. Usually, you will have to do this by transferring funds from your bank account, transferring funds from an existing IRA account, or rolling out a new 401 (k). Well, now that you’ve completed all the relevant details, choose your preferred platform and get started with your very own IRA account right away. Opening the account is simple, and with the guidelines we’ve provided, you will get going at complete ease.